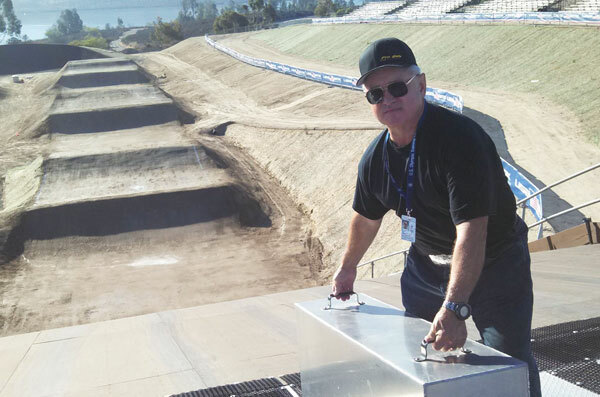 The Pro Gate “go” team is on-scene at the US Olympic Training Center/Chula Vista for the finale to the 2013 UCI BMX Supercross World Cup Series. Here’s Pierce “Mr. Pro Gate” Barker waking up the London Track Pro Gate for its starring role in the action.